For the past few weeks, I’ve had the pleasure of making custom African wax print bow ties for Reverend Frederick Hanna, a wonderful client on the East coast. The other day he sent me this adorable photo of his daughter helping him pick out a “Ms. Sally” tie for the day. I’m so lucky to have such awesome, sweet clients and to get to be a small part of their lives! Totally makes my day! How cute is she!?!? Reversible pink and green African wax print bow tie with dark grey on the back. Here are additional ties I’ve created for him. The Reader’s Tie. African wax print bow tie custom made. The Gentleman’s Tie. Reversible black silk and African wax print. For Fred and his son Fred Jr.! Thank you Fred for your support – you rule! What is wax print fabric? 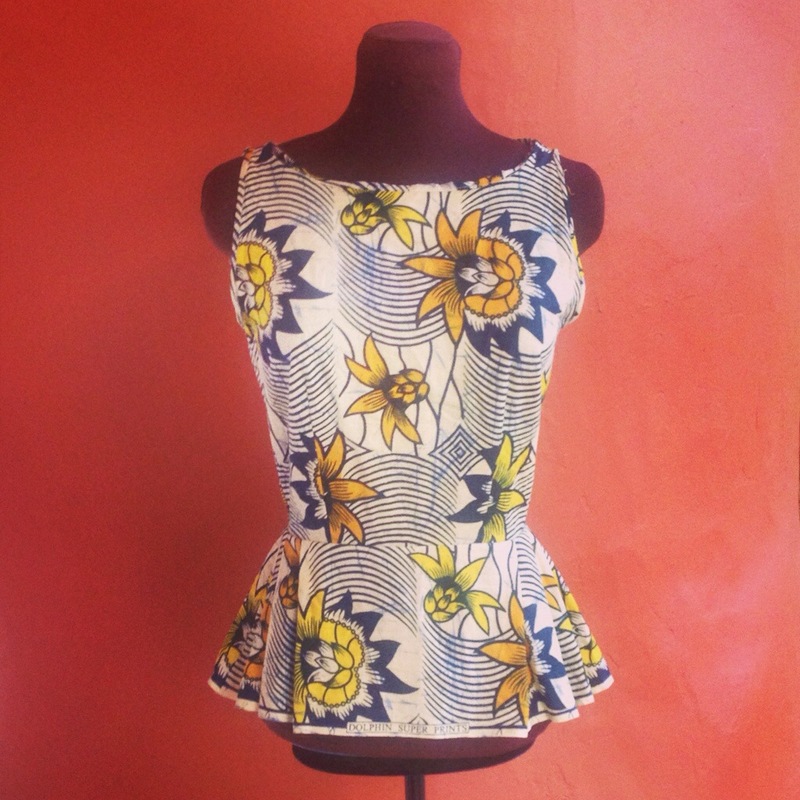 I use a lot of wax print fabric in my designs for a few reasons. 1. I love the bright vivid colors and patterns. 2. The fabric has a great feel to it, is washable and usually doesn’t require lining. 3. 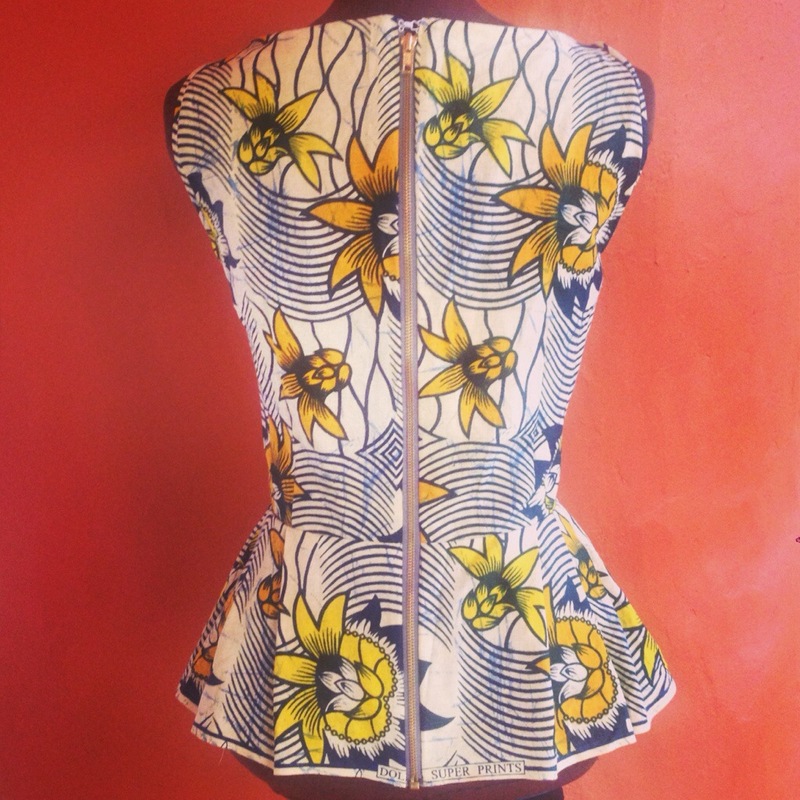 I have a good friend who travels to Africa often and brings me back amazing pieces she finds. Yes, I am lucky (and so are you!). Given my heavy use of wax print fabric, the term gets thrown around a lot, and I figured it was time to some explaining. So. What exactly is wax print fabric? 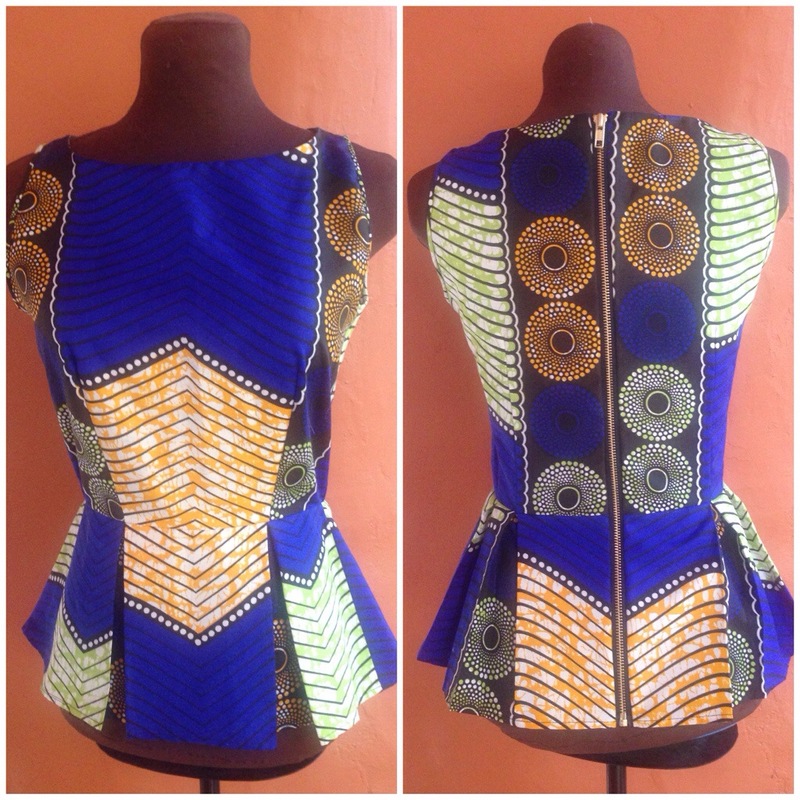 Wax print fabric is characterized by bright, colorful prints and designs that look exactly the same on both sides. 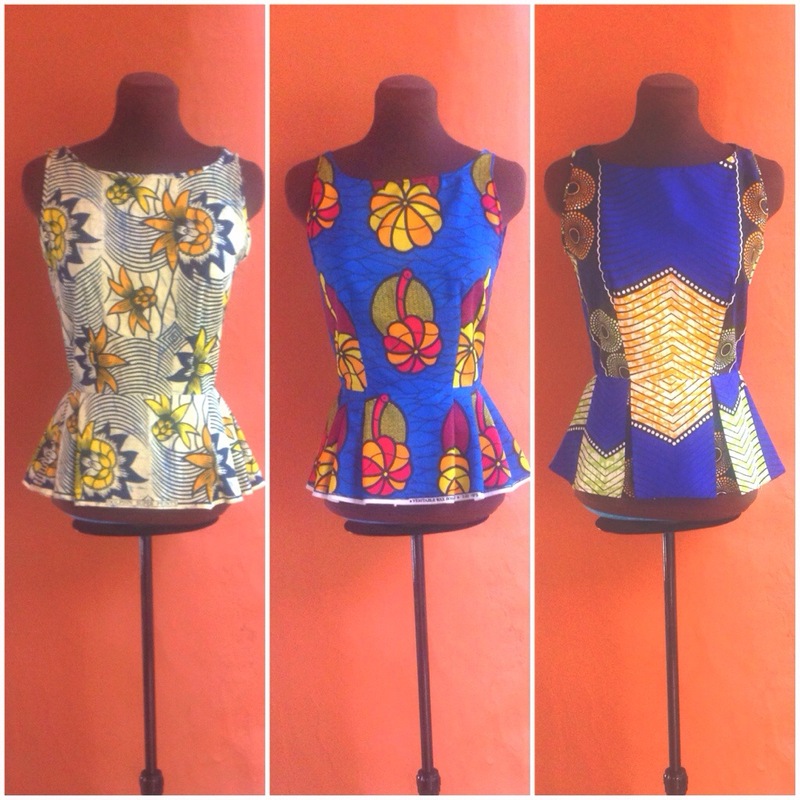 It is most associated with Africa, particularly West Africa, as it is the most common fabric used there. The technique for creating wax print fabric designs originated over 1,000 years ago in Java, Indonesia, and they refer to it as “batik”. However, the Dutch are responsible for bringing the look of “batik” or “wax print” to the masses, as they were the first ones who attempted to imitate the Javanese batik fabric design using machinery. The quality of the mass produced fabric at the time was said to be sub-par and cheap. How is wax print fabric made? 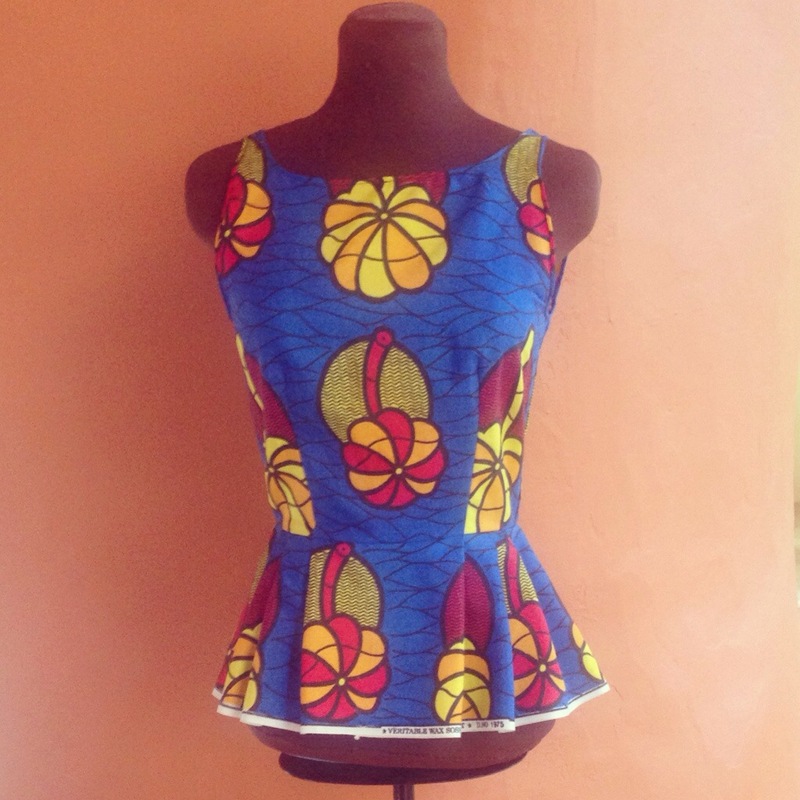 Most wax print fabrics you find available for sale are not made the traditional way, but rather for a mass audience. A variety of manufacturing methods are employed, which greatly affects their quality, however many companies still manufacture and dye the fabrics themselves. What makes wax print fabrics unique? 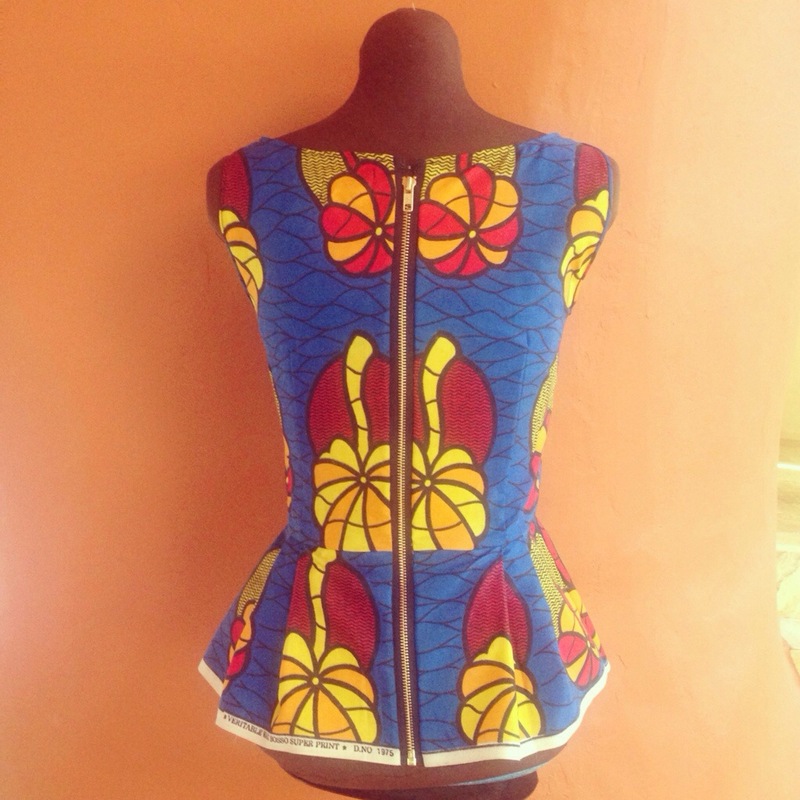 Majority of wax print fabrics and designs are limited in production. Each piece is marked with producer, product name and registration number of the design are printed on the selvage. What should I look for when buying wax print fabrics? Make sure it is 100% cotton and try to find smaller batch operations that produce the fabric close to where they sell it. A short overview, but hopefully helpful none-the-less! In addition to clutches, I’ve been making a ton of one-of-a kind bow ties. You boys better start brushing up on your bow tie tying skills! Check out a great tutorial on how to tie a bow tie here. 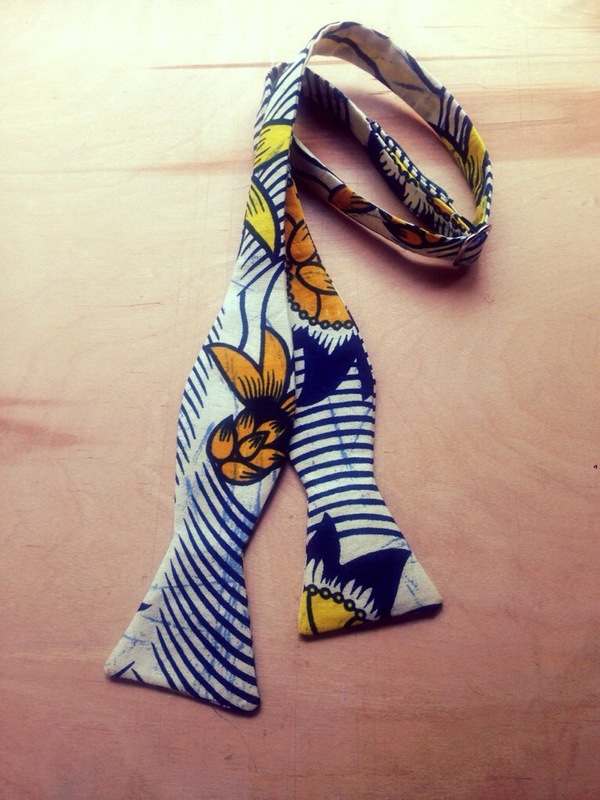 African wax print fabric adjustable bow tie. $26. 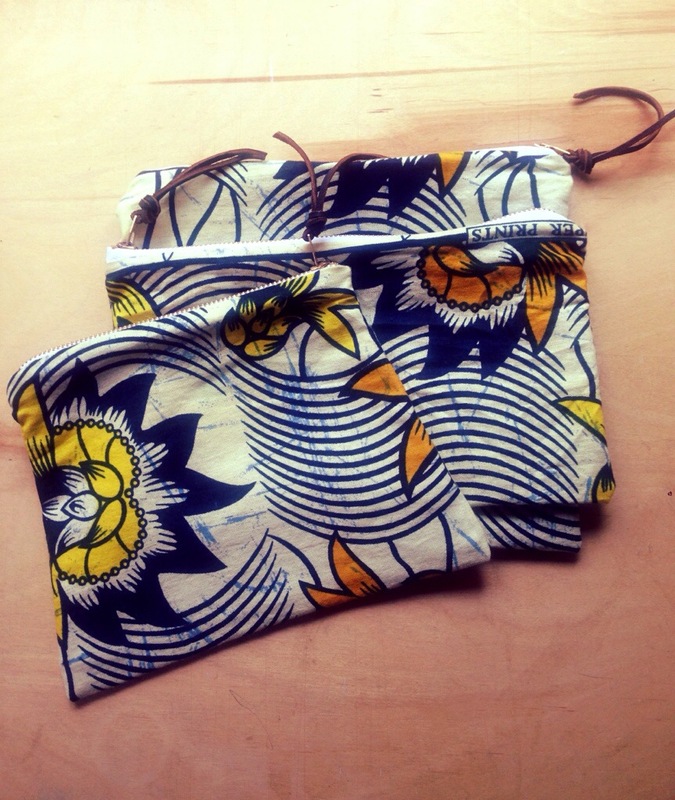 African wax print clutch. $24-28.